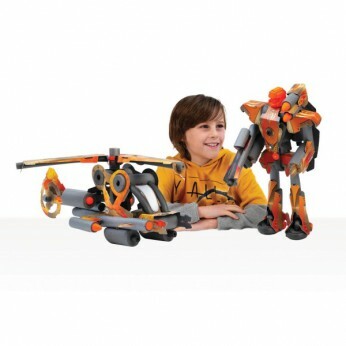 Construct two amazing kits – a Robot and a Helicopter. Set contains tools for cutting and drilling small, medium and large tubes, wheels, card, plastic part, caps to finish and full step by step instructions…. This toy costs approximately £24.99 (for the latest and best prices make sure you check our retailer list for the Mega Construction Workshop – Helicopter and Robot above). In our review of Mega Construction Workshop – Helicopter and Robot we classed it as being suitable for ages 6 years, 7 years, 8 years but recommend you check the manufacturer specific advice before purchasing.